Recently we’ve been receiving an increasing number of requests for stoves and fittings on a supply-only basis. Either for customers to install their own stoves in their existing homes, or for a builder to install as part of the build. We have always aimed to offer competitive prices, but have decided put together 3x DISCOUNTED Supply Only Packages to keep it simple! With each package, you’ll receive all of the liner and necessary fittings to install your stove in a standard house with existing chimney*. And each package offers a different stove choice. All of the above with the Heta Inspire 40 (4.9kW multi-fuel) stove = £1, 550 inc. VAT. All of the above with the Aarrow Ecoburn Plus 5 (5kW multi-fuel) stove = £1, 460 inc. VAT. 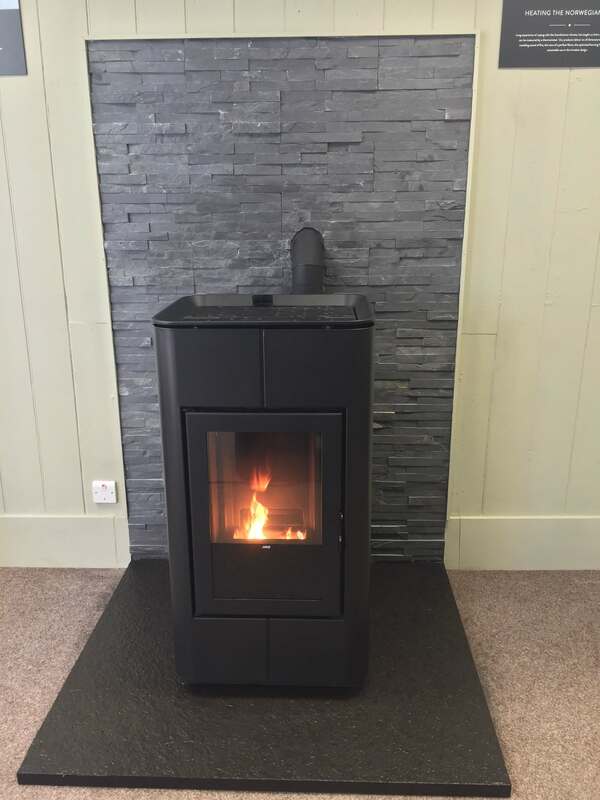 All of the above with the Newman Panoramica (4.9kW multi-fuel) stove = £1, 325 inc. VAT. *The only things you will need to source yourself are the hearth, stainless steel register plate and vermiculite insulation. 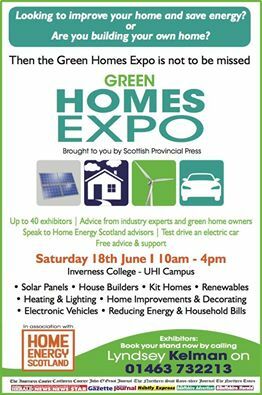 Along with many other eco-friendly local businesses, we’ll be showcasing some of our best products and services at this year’s Green Homes Expo on Saturday 18th June. It’s free entry and will be a great day for anyone considering a new home, or any home improvements to their current property. Daniel, John and Neil were hard at work yesterday installing this gorgeous auto-feed wood pellet stove in our Dingwall showroom. The MCZ Tray is as functional as it is stunning, completely silent in operation, and fully programmable either with the handy supplied remote control, or even with an app on your smartphone! The stove here is sitting on a Caithness slate hearth, and is backed with Charcoal cladding. Come Meet Us at the Eastgate Shopping Centre! 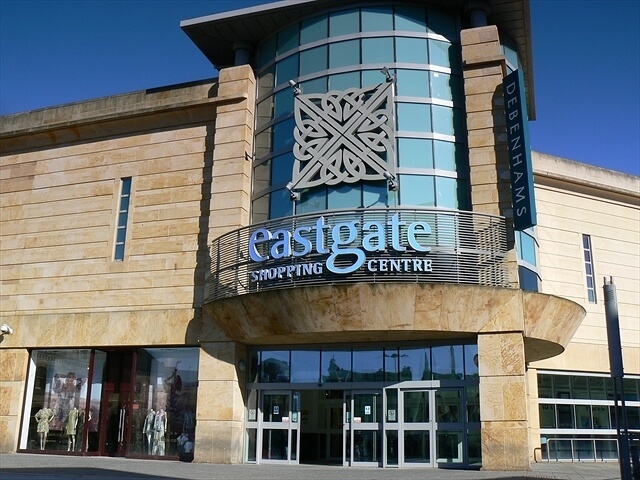 Exciting news – On Saturday 28th May, we’ve signed up to exhibit at the Eastgate Shopping Centre in Inverness. We’ll be packing up a few stoves to show, and will be selling some of our beautiful companion sets and baskets. The team will be on hand all day to answer any of your queries and to take survey booking requests. Feel free to stop by for an informal chat, we’ll be upstairs next to the Food Court – see you there! 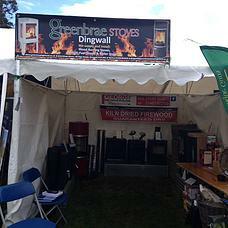 We’ve been very busy lately at Greenbrae Stoves Highland! John and Daniel recently attended a training course down in Suffolk to enable us to sell and install Biomass and Pellet Stoves. We are now officially OPEN for trading at 65 Kenneth Street, Inverness! Don’t forgot to enter our competition to win a stunning Aarrow Ecoburn Plus 5! 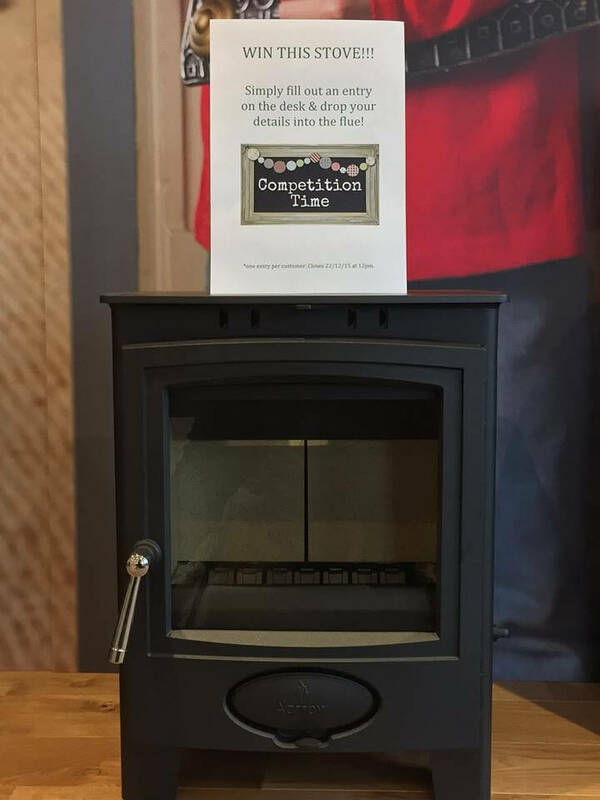 You can enter in-store by filling out an entry form with your name and phone number and dropping it in the flue of the stove! The competition will close at midday on the 22nd of December 2015 and we will call our lucky winner shortly thereafter. As soon as work on the premises is completed, we will be able to advise of our opening date. As if that wasn’t exciting enough, we will be celebrating our expansion by running an in-store GIVEAWAY for an Aarrow Ecoburn Plus 5 multi-fuel stove!! For our loyal and wonderful customers over this side of the Kessock bridge – don’t worry, our Dingwall shop isn’t going anywhere! Hope everyone’s keeping warm with the horrible weather outside! It’s set to be a very busy winter for us with lots of lovely stoves heading off to their new homes over the next couple of months. We have a few exciting things in the pipeline for the next month or so – so keep your eyes peeled for a very exciting announcement or two and perhaps a competition! As always, enquiries can be made to our Dingwallshowroom on 01349 865050. Off to Moy and Showroom Closure! We’re packing up some of our stunning stoves and getting ready for the Moy Games this weekend (Friday and Saturday) – hoping to see some of you there! The shop will be open tomorrow as normal (9am – 5pm) but we will be CLOSED on Saturday. We’ll be on stand B16 – come by for a chat and some special offers on the day! 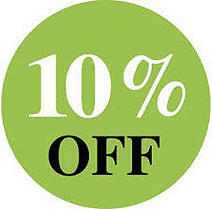 This month’s spring offer is an amazing 10% off all stoves! Including all Aarrow, Jotul and Scan models.